The Patio Party Designer Series Paper features 3 of the newest In Colors: Summer Starfruit, Primrose Petals and Midnight Muse. 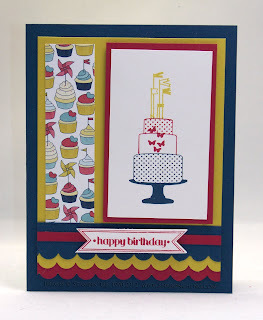 Here are 2 other cards that use the Patio Party Designer Series Paper. 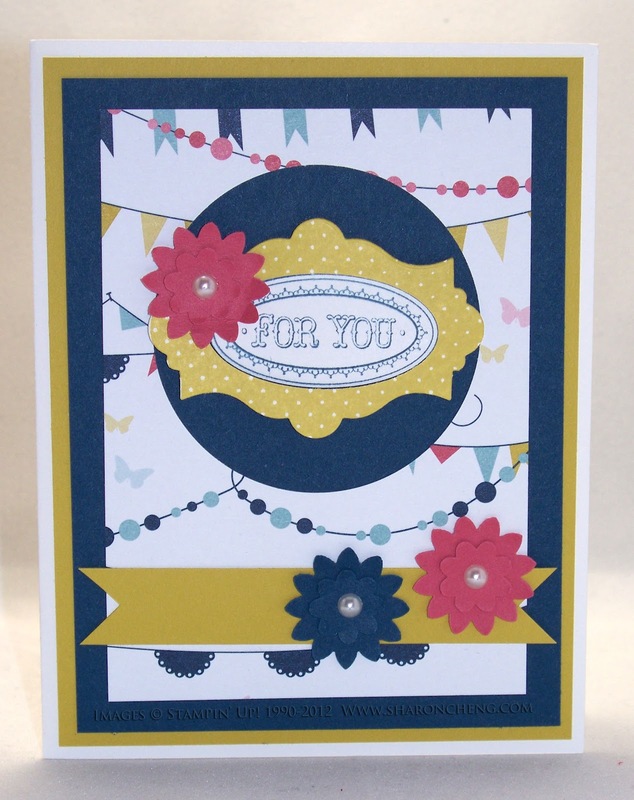 Denise Ward made this card for our demonstrator swap. 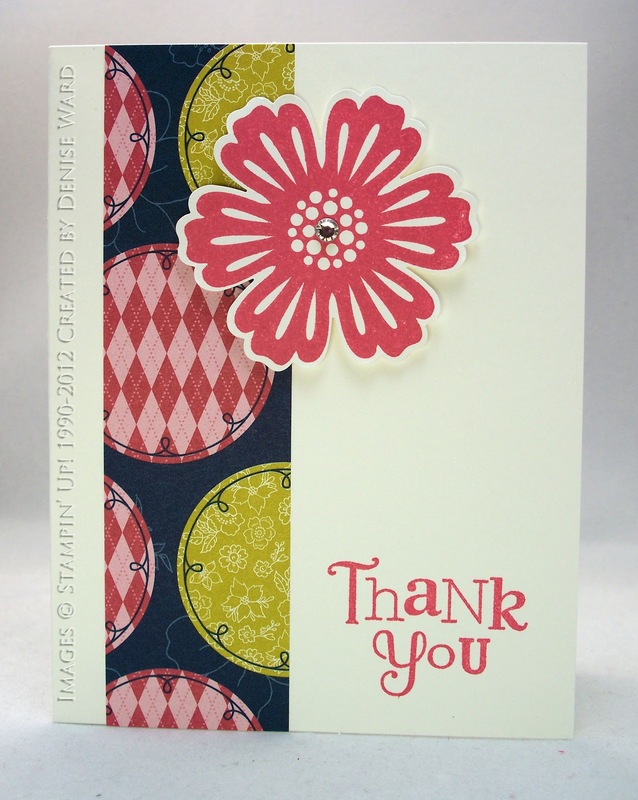 Can you tell that we get some GREAT cards in our demonstrator swaps? I CASED (Copy And Share Everything) this card and changed the paper to the Patio Party Designer Series Paper. Click here to see all 12 designs in the Patio Party Designer Series Paper.